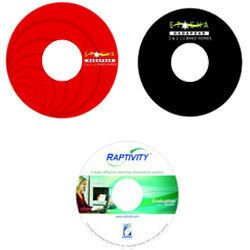 Manufacturer of a wide range of products which include silk screen printing on cd. Our Silk Screen Print on CD/DVD uses UV inks CMYK plus white to give you the full color range or you can select one, two, three, four or five colors with our silk screen printers we can create professional quality CD and DVDs for you. Full color photographic images can be printed up to 133 lpi dot size. With Silk Screen we will create film and screened for your CD or DVDs on re-order we will be able to use them again to save your money and valuable time. Looking for Silk Screen CD Printing ?